I’ve been kindly asked to contribute a few words for this month’s blog edition. I have had the privilege of meeting many of you, though not all, so let me briefly introduce myself. Online I am known as the EdTech Didi and I blog at www.edtechdidi.com. I have my Masters of Educational Technology and am a Technology Integration Specialist. I have a passion for using technology in creative and innovative ways, especially to support education and learning. I work hard to help parents, students, and teachers use the best resources for their learning adventures. We recently lived in Kathmandu for two years and I was able to assist in what I call “technology outreach” with several of the English Access Microscholarship centers throughout Nepal. I tried to expose teachers and students to technology basics that could support them in their English studies, and I tried to instill a broad overview of what 21st Century learning is all about. In my limited time with the students, and also within limited classroom connectivity, only so much was possible. Still, I tried to lay a foundation to help them realize that technology is much more than texting, Facebook, and YouTube, and that there are many tools to help them reach their educational goals.
. As you can imagine, this is no small undertaking. If you roamed the halls, you might overhear phrases in Urdu, Thai, Swahili, Croatian, Hungarian, Chinese, Arabic, French, or Armenian. While there are many language learning models and strategies, one requirement for this particular program is that only native speakers are allowed to be instructors. With larger world languages, there are many qualified candidates to choose from. With small and regional languages, however, sometimes it is difficult to find qualified instructors. With specialized languages or dialects, sometimes there are limited resources to use as course materials and instructors must rely on current newspapers, for example, instead of established textbooks. Sometimes the teacher hasn’t lived in his/her native country for many years and the vocabulary and issues have changed. Nonetheless, this model places significant importance on learning a language from a native speaker. In Nepal, it is not feasible to utilize a similar methodology, so what can be done to help ensure that students learn English with the proper dialect and vocabulary? Fortunately, there are many online resources and software that can help students be exposed to native English speakers. It is of critical importance that students are encouraged to use them and take advantage of such opportunity. Voice of America: Includes lessons, videos, idioms, audio, and practice activities using current events. Yale Center for Language Study: Links to various websites students can use to practice grammar, punctuation, spelling, slang, listening, speaking, writing, and reading. Google World Wonders Project: Virtually explore many of the great wonders of the world. National Museum of Natural History: Students may not be able to visit this Smithsonian, but you can download this interactive tour and learn as though they were there. It is not possible to try everything, especially with limited computers, Internet access, and connectivity. However, with a little effort and determination, English language teachers can choose a few resources and technology tools that will greatly enhance student experiences and expose them to native English speakers. When used purposefully, technology can be very engaging and exciting for students. Teaching, especially teaching well, is not an easy task, but it is a crucial one if we are going to make a difference and ultimately change the world – one student at a time. I wish you the best in all of your efforts with the wonderful students entrusted to your care. They truly are the future. First of all I would like to thank the blog team and the author Ms Gretel alias EdTech Didi for this useful article. The seemingly short article has a lot of things for readers to understand and get prepared to learn. I mean it has several links that can give us a lot of learning stuff. Although I have studied science, I like English very much and try to improve it more and more. What is the most impressive to me is that if you want to learn a language better, native speakers can help better. 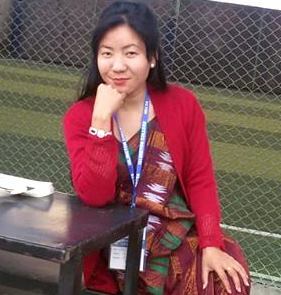 But, I think it is easy to learn English from a local teacher of the English language in Nepal because we don’t catch the native tone easily and our Nepali language can also help us to pick up more quickly in many cases. Anyway, it is really very fruitful to utilize the on-line resources to learn anything, for which we need to make Internet users to use Internet for their good knowledge. Sorrowfully, many more are misusing it in our locality. More sorrowfully, a majority of Nepalese teachers are not taking benefit of the on-line wealth. They simply depend on books for teaching. One example, this blog is for English teachers. I hope they are reading such articles, but comments? Why are they not sharing their ideas in the form of comments? I am sorry if my question is bitter. Thanks a lot for your comment with the concern and curiosity. Yes, we feel our attempts greatly supported and cared for by well wishers from home like you and from abroad like Ms Gretel. The article, as I have viewed, is rich in texts as worth-visiting links, and in techniques as how we can strengthen our English. No doubt local teachers of English can help us learn much more easily and faster owing to socio-cultural closeness and mother tongue as a medium language. And, what is equally worth-emphasizing is that native speech does of course help us strengthen our listening and speaking skills that are more vibrant that the written ones. It is an open secret that there are so many resources on the internet that serve natural spoken skills for our enhanced learning. We can play them as many times as we wish to. And, the next point that you have raised is all about the utility of internet access. It all depends on individual’s choice. Yes, it is indispensable for today’s teachers and students to exploit the abundance of on-line resources to promote their educational status. Personally, for the last two years I have felt that the number of teachers utilizing internet as a teaching tool has been growing significantly. Finally, as far as the readers of our NELTA Choutari and their comments are concerned, the blog stats shows that the number of visitors is growing encouragingly and comments are again up to the visitors’choice though they matter a lot for the greater popularity of the blog. We request teachers and students in touch to express their views, and ask them to circulate it among many more. I request even you to contribute in that regard, too. Last but not the least, you are form the science background, yet your inclination to English is highly appreciable. Let’s be hopeful for better experience in the days to come.